Our AGM was held on 17 September, we would like to welcome Ruth McClure, Lynsey Prentice and Stacey Lee to the committee. The Chair report is available to view below and outlines what we targeting in the coming year. Our fundraising target this year is £3500, we are embarking on a 2 year project (Let's do I.T.) to expand and update the school's I.T. resources. We have a variety of events planned for this year and you can keep up to date with them here and on the PTA Facebook page. Well done to Mrs Nixon, Ms Cromie and all the girls who have continually fund raised towards their new strip. The strip is now with the team and the girls look great in the new kit. They continue to fund raise towards the upkeep of the kit, thank you for all your hard work girls! 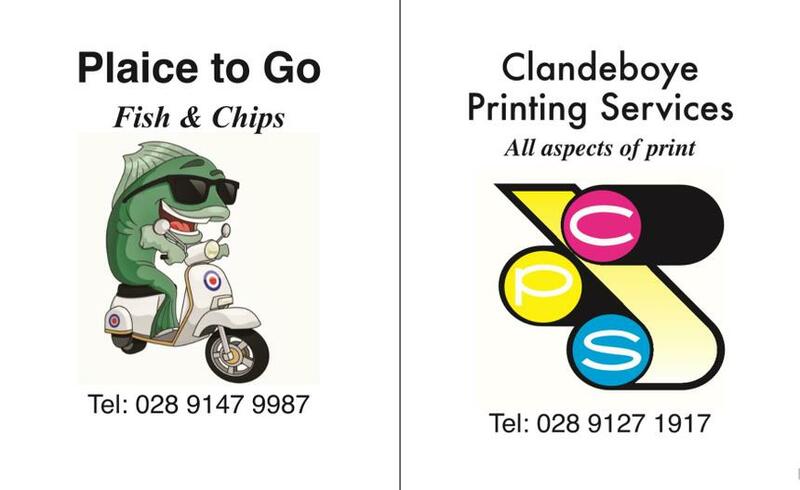 A huge thank you to our Netball Team Sponsors, Clandeboye Print Services and The Plaice to Go for helping the team achieve their goal! The Activate Project is still on hold, although the work being carried out by the Water Board should be coming to a close in the next 6 weeks. Once this completes we will be able to move forward with the grant application.